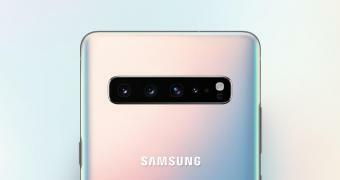 Samsung announced the Galaxy S10 5G at the company’s Unpacked event on February 20 alongside all the other versions of the Galaxy S10, but while the standard models are already up for grabs, this particular configuration still isn’t. And it’s all because of the additional requirements that a 5G smartphone comes with at this point, so Samsung originally said the Galaxy S10 5G would hit the shelves by the end of March. However, it looks like the end of March has in the meantime become the first week of April. According to a recent report, the Galaxy S10 with 5G capabilities is projected to go up on sale on April 5 in South Korea. Needless to say, Samsung Galaxy S10 5G requires a 5G network, so the South Korean company is also planning to release the device in other markets where such infrastructure would go live. Remember to like our Facebook and follow us on Twitter @AndroidRedTeam for a chance to win a free Samsung Galaxy Tablet every month! Android Red © 2019. All Rights Reserved.